NVMe emerges as the next generation of interconnected flash—offering higher speed, the ability to be connected into a fabric, and designed to take advantage of the unique properties of pipeline-rich, random access, memory-based storage. But all this technology is meaningless unless it offers legitimate business value. Click inside to closely examine NVMe, and what exactly it can offer your organization. 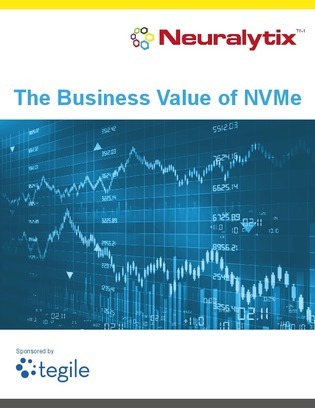 With details on scaling with NVMe/F, implementation use cases like VDI, ERP systems, and Microsoft SQL Server illustrated, and more, let this resource be your guide to the possibilities of NVMe.